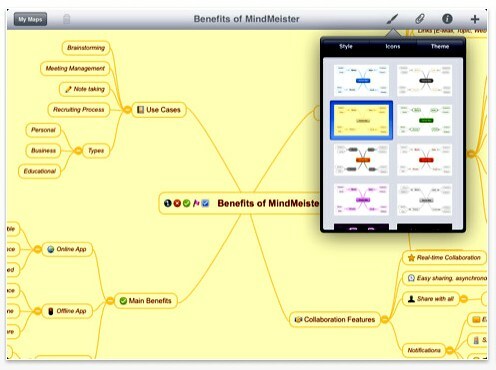 @DrHubaEvaluator (aka Dr. George Huba) recently asked me on Twitter what my thoughts on iPad apps for mind mapping were. I said that I don’t have an iPad but I do follow the comments. Well, he really knows much more about it than I do. Although my wife has an iPad from her office, she doesn’t map so I’ve loaded just the free iPhone apps on there. They don’t take full advantage of the iPad screen, being viewed at 2 x size, so I haven’t done any serious mapping on it, just played. I like to map on a 24″ screen with my own software. 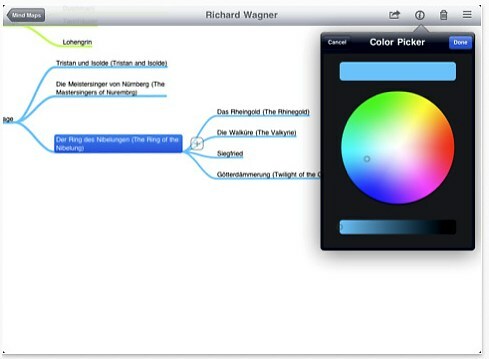 … and said it was much more costly than other iPad apps – though not expensive compared to desktop iMindMap editions. 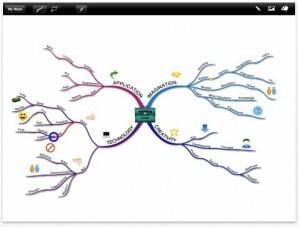 [Update April 6 2011: there are new desktop versions, including iMindMap Basic, which is free.] If you need that style, I said, it would probably be worth it. … for those who want to sync with their on-line maps. … and iThoughtsHD are best but he’s now looking at iMindMap for style and projection. 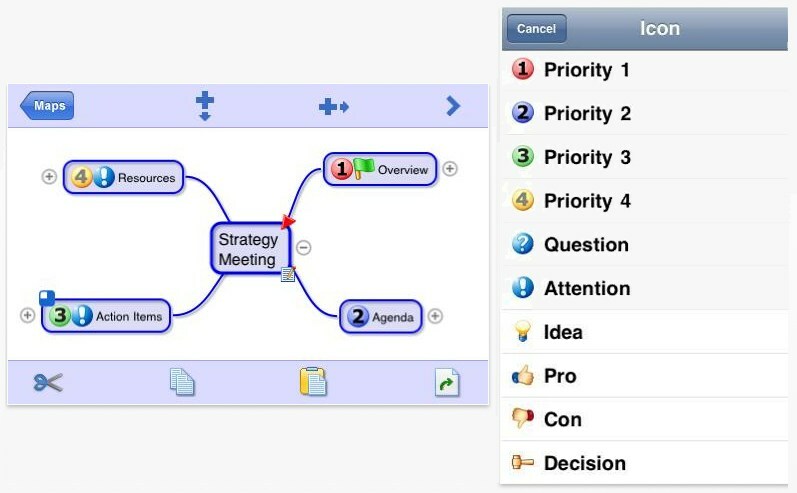 Presentation mode for iMindMap sounds useful, but I find that style doesn’t always go down so well in business meetings. I haven’t seen many comments about Mindo myself, but it looks sweet enough and business-like. This is what WikIT has on mobile apps. We have undergone a deeper analysis of the competition and in order to offer our user a better quality and unique experience on all the versions, desktop, web and iPad and synchronization between the three we have continued our development cycle some more. Hi, Roy. I marvel at your expertise always. I just got and love my iPad2, but am lacking in where to start with apps. 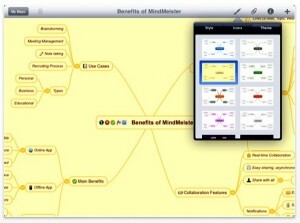 I’ve also been wanting to try mind mapping, too, based on your education, and perhaps this is a great place to start. I’m so overwhelmed with the number of apps and if I’m going to pay for them, I better use them! Now, I just need to keep my kid from swiping my new toy. 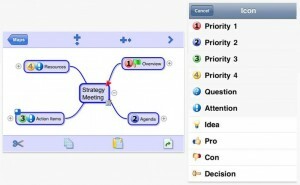 A regular mind mapper I have been using iThoughts for the past 18 months having found I to e far superior to other apps. The frequent updates and tweaks to the software have ensured the app continues to go from strength to strength. Im also playing with headspace, which although more of list taker makes great use f the iPad screen with 3D. 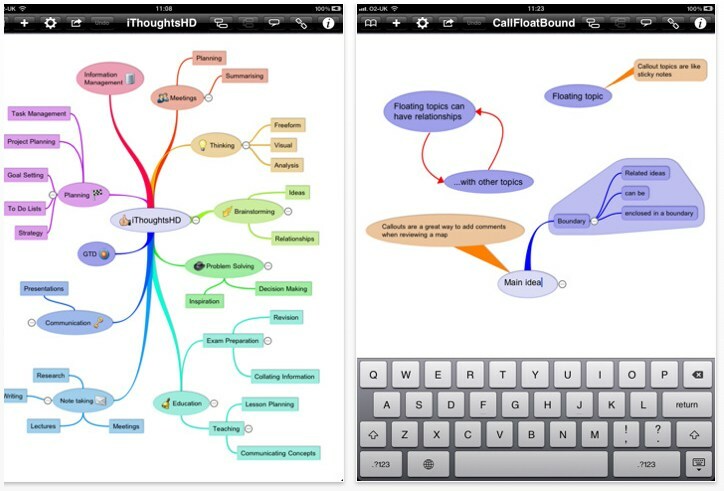 I look forward to a full 3D mind map app for the iPad soon.